Have you ever been driving along and witnessed something that you wish you could have captured on video? It could be a car accident, strange or reckless driving behavior or just something interesting you want to share on social media. We most certainly can’t drive around with our smartphones in our hand, and when something worth recording does happen, we’ve usually missed the opportunity to capture the moment. A dashcam system is the solution. Read on to learn everything you ever wanted to know about dash cameras and how they work. A dashcam is a compact audio and video recording system that is designed to mount to your windshield. The camera faces forward and includes a wide-angle lens that will capture almost everything that happens in front of the vehicle. Most cameras on the market include a built-in microphone, so you get the entire play-by-play of the event as it occurs. Dash camera systems are typically wired into the ignition circuit of your vehicle and begin recording as soon as you start your car or truck. There is no need to remember to press a button. Most camera systems include an integrated accelerometer that records forces in all three axes along with the video. 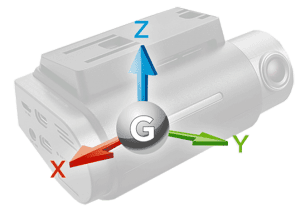 This information can be used to show acceleration and braking and cornering forces, as well as to detect impacts in the event of an accident. The better camera systems on the market use an SD or micro SD card to store video information. These digital storage formats are compact and reasonably reliable. The small cards can be removed and connected to a computer in your home or office to view videos. As mentioned, most cameras start recording as soon as the vehicle ignition is turned on. Options in the setup menu allow the installer to configure the length, frame rate and the resolution of the video. Typical video lengths are one, three and five minutes. These short lengths make it easy to pick out certain events while ignoring long periods of uneventful driving. Normal videos are stored on the memory card in a specific folder called Videos or something similar. Once the folder fills up, the oldest video is deleted to make room for a new one. The number of videos stored on the card depends on the resolution and, subsequently, the size of the video files in relation to the total storage space available on the storage device. Most systems have a secondary folder with a name like Event. The videos stored in this folder have been flagged for safekeeping. A threshold for the onboard accelerometer can be set to trigger an event recording. Sudden deceleration caused by slamming on the brakes or hitting an object are typical trigger events. Most systems also include a manual trigger button that will let you save a file to the Event folder. We mentioned at the begging of this article that a dashcam is a great tool to record an event that has already taken place. While that sounds a bit like time-travel, it’s quite simple in operation. Allow us to explain. Your dash camera is always recording and saving content to the memory card. 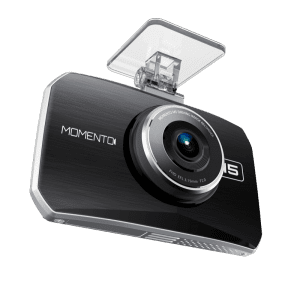 In the event of an automatic or manual trigger, the dashcam saves five to 10 seconds’ worth of information from before the trigger and 30 to 60 seconds of video after to the file in the Event folder. You can witness a car accident, come to a full and safe stop, then press the trigger button to store the entire experience for later review. Should My Dash Camera have a Screen? There are two basic styles of dash cameras: with and without a display screen. The inclusion of a screen makes it much easier to install and aim the camera properly. Having a screen also allows you to play videos back right on the camera unit. The tradeoff is, of course, the size of the camera system. Including a screen will make the camera larger. Choosing a camera with or without a built-in screen depends on your application and personal preference. 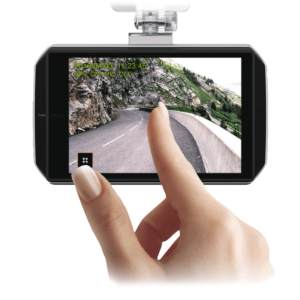 Many dash camera systems include or have a provision for an optional GPS receiver. When equipped with GPS, the longitude, latitude and speed of the vehicle are stored along with the video files and accelerometer information. Many video playback software packages (available as a download from the camera manufacturer’s website) overlay the vehicle location on Google Maps during playback. Another very popular option for dash camera systems is a second camera. 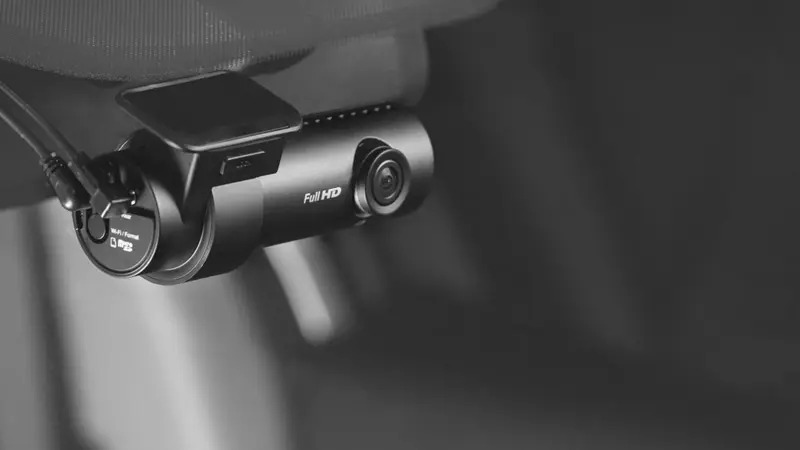 This camera can be placed in the rear window to capture activity behind the vehicle, or placed inside the vehicle near the rearview mirror to record the interior of the vehicle. Taxi, Uber and Lyft drivers like the ability to record what’s going on inside the vehicle. Another feature available in premium cameras is the inclusion of a Wi-Fi network hotspot. This network connection allows you to communicate with the camera system using your smartphone. Some interfaces allow you to download videos from the camera to your phone for sharing. Others include the ability to configure settings on the camera remotely. A few companies even include cloud-based image storage. When you arrive home, you can connect your dashcam to your home Wi-Fi to upload videos. Another popular camera option is called Parking Mode. When activated, the camera will operate even after the ignition is turned off. Parking Mode works in different ways for different cameras. Some record at a much lower framerate. Some monitor the image for changes (when a person approaches the vehicle, for example) and only start recording when a change is detected. Parking Mode is a great feature for people worried about someone breaking into or vandalizing their vehicle. Battery management is an important consideration for dash camera systems that will continue to function after the ignition is turned off. The last thing you want is to have your camera run all night and drain your battery, making it impossible to start your vehicle the next morning. Some cameras have a built-in shutdown circuit that turns the camera off when the battery reaches a selectable voltage. A better solution is to add a dedicated battery for the camera system. A secondary unit reduces wear and tear on the main battery while providing excellent protection. Beyond features, buying a dashcam is similar to buying any other video or still picture camera. The amount of information stored depends on the resolution of the camera system, the quality of the image sensor and the optics (lens quality) of the system. 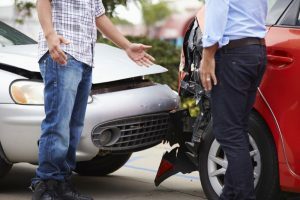 If you want a yes or no answer to who caused an accident, any recording system will work. If you are hoping to read a license plate or phone number from the side of a vehicle, you can never have too much resolution. It’s up to you to decide how much is right for your application. In addition to resolution, consider image quality. Dash camera systems are hampered because the brightness and contrast required is always changing. The camera needs to function reliably when you are driving toward the sun or at night with only headlights lighting your way. The speed and accuracy with which the camera can adjust to these changes is an important factor in ensuring optimal image quality. Finally, construction materials and quality are also a consideration. Does the lens assembly use inexpensive plastics that may distort when they get hot or turn yellow after prolonged exposure to the sun, or are the lenses made of glass? It can be very difficult to determine the quality of the internal components of a camera, so be sure to do your research. Finally, we should discuss just why it is a great idea to have a dash camera installed in your vehicle. There’s no doubt that a good public shaming on Facebook for someone who cut you off is great entertainment, but the need to protect yourself against fraud and false accusations is very real. You may have seen a news report of video of someone jumping on the hood of a vehicle stopped at red light and claiming the driver hit them. Believe it or not, this does happen. Another popular scam is for a driver to back their vehicle into a stopped car or truck while at a red light. The driver of the offending vehicle will claim that you drove into them. One of the latest scams involves drivers being flagged down by a person on the side of the road. The person will claim they are out of gas and offer supposedly expensive jewelry as collateral in exchange for some money to get gas. If you decide to stop, be sure to let the person know you have a dashcam recording everything, including their license plate. 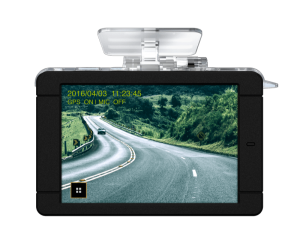 Before you buy an inexpensive dashcam system online, drop by your local mobile enhancement retailer and ask about the features of the products they offer. More often than not, you will find much better performance and reliability from a premium product. You only get one chance to record an important event, so make sure you capture all the information you want or need.